SINGAPORE (Dow Jones)--Crude-oil futures slipped Tuesday in Asia as some market participants took profits after last week's strong rally and others reassessed their positions as the end of winter approaches in the Northern Hemisphere. On the New York Mercantile Exchange, light, sweet crude futures for delivery in April traded at $108.41 a barrel at 0657 GMT, down $0.15 in the Globex electronic session. 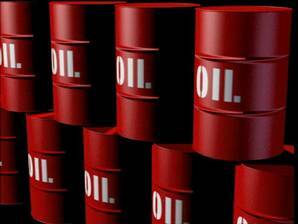 April Brent crude on London's ICE Futures exchange fell $0.32 to $123.85 a barrel. Some investors chose to book profits after the U.S. crude benchmark rallied to a nine-month high last week and a warmer weather outlook signaled the end of peak winter demand in the Northern Hemisphere. "Physical demand will falter as we head into the spring season and major Asian refineries will be undergoing maintenance within the next several days," said a sales manager at Hyundai Oilbank's Dubai office. Still, traders said the downside is likely limited because money managers continue to focus on falling Iranian oil exports and any upbeat U.S. economic data in coming days could prompt more risk investors to park their money in commodities and oil. "Crude prices have hit overbought conditions but there is still plenty of upside risk to oil since Iran looks very determined not to give up its nuclear ambitions, while recent U.S. economic data indicate gradual economic recovery," said a sales representative at SK Innovation's Shanghai Office. "While there were no major headlines today related to Iran, we still view the country's nuclear efforts as a latent bullish consideration capable of keeping this bull move alive despite the likelihood of further demand deterioration," Ritterbusch and Associates said in a note. Nymex reformulated gasoline blendstock for March--the benchmark gasoline contract--fell 132 points to $3.1151 a gallon, while March heating oil traded at $3.2785, 79 points lower. ICE gasoil for March changed hands at $1027.25 a metric ton, down $5.00 from Monday's settlement. 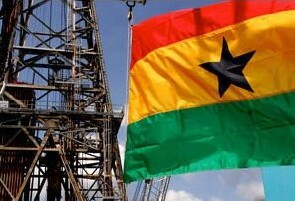 Jubilee partner, Kosmos Energy said February 27, 2012 that it has acquired the participating interest of Sabre Oil & Gas Holdings Limited in the Deepwater Tano Block, offshore Ghana for a purchase price estimated at approximately $365 million. The deal was exercised under the existing Joint Operating Agreement. Sabre could receive an additional $45 million contingent upon achieving certain performance milestones, the statement copied to ghanabusinessnews.com says. Closing of the transaction should occur in the second quarter of 2012, subject to a definitive transaction agreement, customary closing conditions and necessary government approvals, it said. “Following closing of the acquisition, Kosmos’ interest in the Deepwater Tano Block will increase from 18% to 22.05%. Kosmos’ interest in the Jubilee Field will increase from 24.1% to 25.8%,” the company added. “This transaction adds existing production at Jubilee, enhances our stake in the next oil development offshore Ghana, and increases our exposure to the significant Deepwater Tano exploration programme in 2012,” said Kosmos’ CEO Brian F. Maxted. NEW YORK (Reuters) - Oil prices pulled back on Monday after a string of higher settlements as concerns that high oil prices might curb economic growth, along with the stronger dollar, countered supportive fears about Iran and potential supply disruptions. Crude futures extended losses to more than $2 in post-settlement trading after Brent ended a string of five consecutive higher finishes and U.S. crude a string of seven straight higher closes. The Group of 20 finance ministers and central bankers said on Sunday they were "alert to the risks of higher oil prices" and discussed at length the impact that sanctions on Iran will have on crude supplies and global growth. The G20 officials also said that they welcomed a commitment from producer countries to ensure oil supplies. The dollar index .DXY strengthened and the euro eased against the U.S. currency, even as the Japanese yen recovered from a nine-month low reached intraday against the dollar. A stronger dollar can weigh on dollar-denominated oil by making it more expensive for consumers using other currencies. "The energy complex is pulling back about 1 percent ... partially on a softening in the equities and euro," Jim Ritterbusch, president at Ritterbusch & Associates, said in a note. "Weekend G20 meetings also prompted some selling amidst some reluctance to provide more European bailout packages," Ritterbusch added. Brent April crude fell $1.30 to settle at $124.17 a barrel, but falling as low as $123 post-settlement. Brent ended at a near 10-month peak above $125 a barrel on Friday. Brent remained on pace to post an 11 percent gain for February and is up nearly 16 percent on the year after a 13.3 percent gain in 2011, raising fears of strains on some of the world's fragile economies, particularly in Europe. U.S. April crude fell $1.21 to settle at $108.56 a barrel, but slipping to $107.27 in post-settlement trading. U.S. crude is on pace for a 9 percent gain in February and is up nearly 11 percent in 2012 after rising 8.2 percent last year. Brent's premium to U.S. crude ended little changed at $15.61 based on settlements, having recovered after falling below $15 intraday. The spread felt pressure after TransCanada Corp (TRP.TO) said it intends to build the southern leg of its Keystone XL crude oil pipeline, running to Gulf Coast refineries, skirting a full-blown federal review and helping move crude out of the bottlenecked Cushing, Oklahoma, storage hub. The relative strength index (RSI) for both Brent and U.S. crude retreated under 70 intraday, after starting Monday well above that level. An RSI above 70 signals an overbought condition to investors watching technical indicators. Total trading volumes were tepid, with U.S. crude turnover 4 percent under and Brent volume 7 percent under their 30-day averages with under an hour left in post-settlement trading. U.S. equities opened lower after the G20 told Europe it must commit more money to fight the European Union debt crisis before seeking broader assistance, but sliding oil prices helped equities to recover. Germany's parliament approved a second Greek bailout package despite growing German unease over Greece's ability to implement austerity measures and remain in the euro zone. Sanctions against Iran over its nuclear program have removed a major supply source for many refiners and investors worry escalating confrontation in the Middle East could disrupt oil flows from other suppliers in the Gulf. Japan's crude oil imports fell 2.1 percent in January from a year ago and imports from Iran were down 12.2 percent year-on-year, official data showed. Exports from several smaller producers, including South Sudan, Yemen and Syria, have also been cut off in recent months, tightening supplies to some markets. 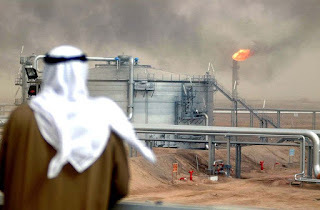 But exports from Saudi Arabia and Nigeria have risen and there has also been speculation about a release of U.S. strategic reserves to offset lost Iranian barrels and combat high prices. WASHINGTON (Reuters) - The United States should do more to encourage Saudi Arabia to boost its oil production to make up for lost Iranian oil, Senator Charles Schumer said on Sunday, urging renewed diplomacy as a way to ease the run-up in oil prices. Tensions surrounding Iran's nuclear program have pushed oil prices to nine-month highs, and U.S. gasoline prices have surged, becoming a top political issue in the run-up to the 2012 presidential elections. A public promise from Saudi Arabia, the world's top oil exporter, to pump oil at its full capacity would calm oil markets as well as gasoline prices, Schumer, the third-ranking Democrat in the Senate, said in a letter to Secretary of State Hillary Clinton. In the letter, which was obtained by Reuters, Schumer asked Clinton to urge the Saudi government to increase production to full capacity of 12.5 million barrels per day - an increase of 2.5 million barrels. That would compensate for a reduction in Iran's total exports of 2.2 million barrels per day. Oil sales from Iran, the third-largest oil exporter, face tough new sanctions as a result of the standoff over its nuclear development. Gasoline prices in the United States are the highest on record for February. The American Automobile Association (AAA) said the national average price hit $3.65 per gallon on Friday, and analysts say average prices could rise well over $4 per gallon during the peak driving season in coming months. "These skyrocketing fuel prices are directly linked to the global energy market, particularly Iran's recent efforts to manipulate oil prices and the worry of impacts on supply from an escalation of regional hostilities," Schumer said in the letter. The United Nation's nuclear watchdog last week warned Iran has stepped up its efforts to enrich uranium. Iran has insisted it is developing nuclear power, not weapons. The European Union will ban Iranian oil as of July 1, and other buyers will face new U.S. sanctions unless they cut back on purchases. "These market shifts are now hitting Americans at the pump, reverberating throughout the rest of our economy, and threatening our recovery," Schumer said. Saudi Arabia has privately reassured customers it will pump more oil, and sharply increased exports in the past week, although it was not clear whether the jump would be sustained. 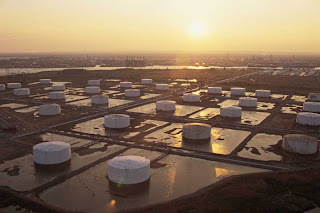 LONDON, Feb 24 (Reuters) - Nigerian oil exports will jump to their highest level in four months in April as output from a new crude stream starts to flow, traders and shipping sources said on Friday. The increase in Nigerian oil production, much of it high quality with low levels of contaminants such as corrosive sulphur compounds, will help meet any shortfall from disruptions to supplies from South Sudan, Syria and Yemen. Africa's top oil producer is expected to sell around 1.96 million barrels per day (bpd) in April in 70 full or part cargoes, up from 1.87 million bpd in 65 cargoes in March, the sources quoted provisional loading programmes as showing. Nigeria's new Usan offshore oilfield will contribute most of the extra oil in April, pumping almost 100,000 bpd, the programmes show. The field, operated by France's Total SA, is expected to reach four to five cargoes per month, or about 130,000-160,000 bpd, this year and have a total capacity of up to 180,000 bpd. Total said on Friday it had started production at Usan on schedule. Traders expected initial volumes to be stored and the first vessels to load in about six weeks. Total, U.S. major ExxonMobil and commodities trader Glencore will load the first cargoes, totalling almost 3 million barrels. The Total and ExxonMobil cargoes will both be sold by tender, traders said. Provisional loading programmes are often revised after their initial release and some West African traders believe total crude oil loadings in April could eventually prove to be more than 2 million bpd. The loading figures for April do not include condensate, which has been running at around 600,000 bpd, traders and officials have said. Nigerian oil production and exports have been disrupted consistently over the last few years by theft from onshore oil facilities and until recently by attacks on pipelines by anti-government rebels, especially in the Niger Delta, home of some of the older onshore fields. Royal Dutch Shell declared 'force majeure' on its Nigerian Bonny Light crude oil exports in early January after what a company spokesman said was theft from one of its main oil trunk lines in the Nembe Creek in the Delta. But attacks and other disruptions have been less frequent over the last year, despite a wave of strikes and protests in January protesting against the removal of fuel subsidies by the government of President Goodluck Jonathan. Nigeria's key Qua Iboe benchmark crude stream will export about 380,000 bpd in April, up from 368,000 bpd in March. The country's other key crude oil production stream, Bonny Light, will load around 163,000 bpd, up from 156,000 bpd in March. One of the world's largest oil trading companies Gunvor Group, owned by Russian businessman Gennady Timchenko, will build an oil storage facility and terminal in Sao Tome and Principe, an island country near the western equatorial coast of Central Africa, the Vedomosti business daily newspaper reported on Friday quoting a Gunvor official. The company, which is registered in the Netherlands, hopes the oil loading terminal will become a regional hub to transport oil from Africa. The Sao Tome terminal will be the first Gunvor terminal outside Russia and the first fully controlled by the company. The official did not specify the cost of the project and capacities of the terminal. Market sources told the paper that investment in the project might be from $250 million to $375 million. 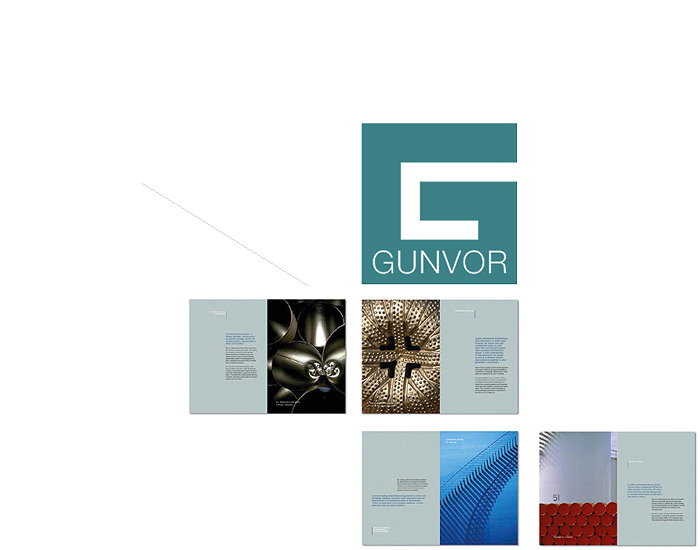 Gunvor will also face large spending on security of the staff due to political instability in the region. Oil reserves in Western African states amount to about 58 billion barrels, while daily oil production in the region stands at five million barrels, which equals half the output per day of Russia. Global oil prices jumped to a nine-month high Tuesday to $106 a barrel after Iran announced it was stopping oil shipments to France and Britain. Iran is responding to heavy pressure from America, Europe and other allies, who want to stop the country's nuclear power program before the radical regime can build nuclear weapons. This most recent move by Iran to ban oil exports to the two European countries comes as a direct preemptive response to the European Union's planned Iran oil embargo set for this summer. The EU has already frozen assets of Iran's central bank. In recent weeks, you've also probably heard news stories about Iran threatening to shut down the Strait of Hormuz. It hasn't happened yet, but Iran has indicated it could close the Strait or take other measures should the country feel threatened enough by the Western allies. 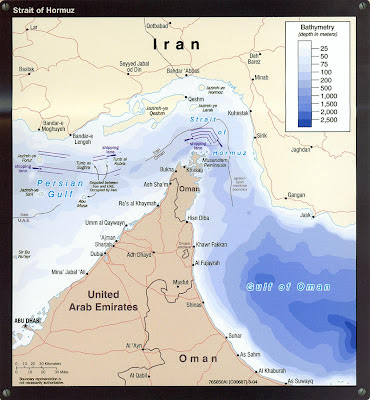 But right now you might be wondering: What is the Strait of Hormuz and why does it matter TO YOU? If Iran tries to block the Strait it could have a huge impact on world oil prices, which would directly impact how much you pay for groceries, gas and electronics — all of which use oil in some way, whether it's part of the manufacturing or shipping process. About 20% of the world's oil passes through the Strait of Hormuz, including crude oil produced in Saudi Arabia, Iran, and Kuwait. It's a water way that's "absolutely critical to the world economy," according Dr. Daniel Yergin, energy expert and Pulitzer Prize winning author of The Prize and The Quest. Yergin calls the Strait of Hormuz "the most important chokepoint in the world." Because so much of the world's oil travels through Strait, any disruption to the shipping channel would have a major impact on global crude oil prices, which ultimately determine the price we pay for gas at the pump. Some analysts estimate the price of oil could go up by 50% within days if there's a disruption of supply, which would mean much higher prices for us filling our tanks at the gas station — and anything else that requires the use of oil. Crude oil and gas prices have risen sharply since September in large part because of the threat of a disruption in the Strait of Hormuz. "We've seen oil prices just on threats go up $5, $10 a barrel" in a day, Yergin says. "This is Iran's trump card." The average price for regular unleaded gas today is $3.58 up nearly 9% since the beginning of this year, according to AAA.com. That is still slightly lower than the highest record average price of $4.11 set in July 2008. But many analysts are predicting that with the threat from Iran coupled with the warmer weather ahead, the U.S. maybe be headed for $4 or even $5 gas prices. Whether Iran really can shut down the Strait is a big question. Jan Stuart of Credit Suisse says it would be "suicidal" for the Iranians to even try. 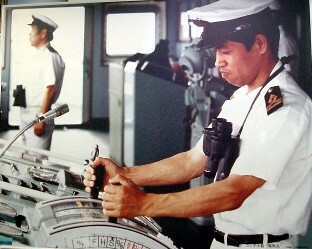 Still, Iran's Navy has recently been conducting military exercises in the area. 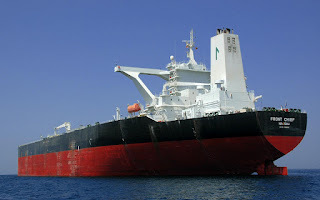 Some experts say the Iranians are preparing to attack oil tankers in the Strait with missiles and torpedoes from submarines. They might not shut the critical passage down but such attacks would certainly disrupt crude shipments and cause a spike in oil prices. Whether the Iranians just bluster or actually go on the attack, we're likely to hear more news about this critical waterway in the days and weeks ahead, and that news will have a direct impact on the global economy and how much you're paying for products here in the U.S.
Kenya, South Sedan and Ethiopia may have to pay for some of the petrochemical developments happening in their countries if donor funding does not raise enough money. The Lamu-Southern Sudan-Ethiopia Transport (LAPSSET) Corridor, which will see a highway, a railway line, a pipeline and a port built for petrochemical transport and storage, is to cost €191 million and developers are worried about not having enough capital to complete the project. A groundbreaking ceremony for the development will take place on 2 March 2012 and attendees will include the prime minister of Ethiopia, as well as other officials of Kenya and South Sudan. It is thought investment ideas might be further discussed at this meeting. The LAPPSET project is to link the petrochemical facilities in the three countries, allowing trade to be further developed and increasing the infrastructure which is currently rundown or non-existent. 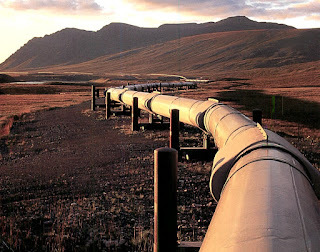 The pipeline will be 1,288km long in Kenya and 427km in length in Southern Sudan, with a capacity of about 500,000bpd. If all goes to plan, the project should be completed within the next 18 months. Another pipeline for refined oil will also be built, with a capacity of 82,400bpd. TEHRAN, Iran — Iran has halted oil shipments to Britain and France, the Oil Ministry said Sunday, in an apparent pre-emptive blow against the European Union after the bloc imposed sanctions on Iran's crucial fuel exports. Iraq has opened the first of its four planned offshore tanker loading facilities in the Persian Gulf. The oil producer said that this move will help maximise its export potential and also said that it intended to add 200,000 barrels per day to its capacity for loading tankers by next month. The new single-point mooring unit, located off the southern oil terminal of Fao, has a potential export capacity of 850,000 barrels a day, Falah al-Amri, chairman of the State Oil Marketing Organisation, told Bloomberg. “We are ready to market these new capacities, particularly in promising markets in Asia where our crude exports to China currently average 500,000 barrels a day,” he said during a ceremony to mark the facility’s inauguration. The four units would increase the country’s export capacity by sea to a combined 3.4 mill barrels per day by 2013. Iraq also exports crude overland by pipeline through neighbouring Turkey. The country also plans to open export routes for crude through neighbouring Syria, following threats by Iran to close the Strait of Hormuz in response to international sanctions on Iran’s energy industry, reported Bloomberg. Iraq holds the world’s fifth-largest crude deposits including Canadian oil sands, according to data from BP. Overseas Shipholding Group (OSG) has joined the growing number of tanker owners and operators whose vessels will no longer call at Iranian loading terminals. This follows the European Union agreement to an Iranian oil embargo. The company’s VLCCs in the Tankers International (TI) pool will no longer load oil at Iranian ports, according to information received by Bloomberg. TI is a pooling of seven tanker companies commercially operating 43 VLCCs, owned by OSG and six other companies – Athenian Sea Carriers, DHT Holdings, Euronav, GC Tankers, Oak Maritime and Reederei ‘NORD’ Klaus Oldendorff. On 23rd January, the EU agreed to phase-in a ban on the purchase, transport, financing and insurance of Iranian oil. The embargo still needs to be implemented by the European Commission, the bloc’s regulatory arm, Bloomberg said. The sanctions will extend to about 95% of tankers as they are all insured under rules governed by European law, Andrew Bardot, the London-based secretary and executive officer of the International Group of P&I Clubs, told the news agency. Oil sales earned Iran $73 bill in 2010, accounting for about 50% of government revenue and 80% of exports, the US Energy Department estimated. (Bloomberg) -- Traders are bidding up crude by as much as 15 percent on the assumption that conflict with Iran will lead to the biggest disruption to Gulf oil supplies since 1991. Analysts from Bank of America Corp. to IHS Jane's say those concerns are exaggerated. Brent, the benchmark grade for more than half the world's oil, is trading for $5 to $15 a barrel more than it would without the standoff with Iran, according to Societe Generale SA, which says prices may jump to $200 should cargoes be interrupted. UBS AG, Switzerland's biggest bank, says the risk of a confrontation that would shut off shipments through the Persian Gulf has added about $10 to the price of crude. "Oil's recent rally is overextended," said Olivier Jakob, managing director at Petromatrix GmbH, a Zug, Switzerland-based consultant that counts Total SA and Gunvor Group Ltd. among its clients. "The premium is at least $15, amid talk of Iran being proactive with an oil embargo" and a possible Israeli attack, Jakob, who recommends buying options that give traders the right to sell Brent, said in a Feb. 9 interview. Brent has gained 14 percent since Dec. 14, the day after Iran, OPEC's second-biggest producer, said that it was planning military maneuvers in the Strait of Hormuz, the 34-kilometer- wide (21-mile wide) chokepoint through which about 20 percent of global crude supplies flow. The European Union last month announced a ban on Iran's oil imports by July 1 even after the nation's Vice President Mohammad Reza Rahimi threatened to close the strait should the 27-nation bloc go ahead with the embargo. Iran halted crude exports to France and the Netherlands and threatened to stop shipments to four other European countries, state-run Mehr news agency reported, citing an unidentified official at the National Iranian Oil Co. The EU has "no information at all" that Iran has acted unilaterally, Michael Mann, an EU spokesman, told reporters in Brussels. European governments already plan to make good any Iranian shortfalls by buying oil from other suppliers, Marlene Holzner, a spokeswoman for the bloc, said at the same briefing. Brent for April delivery climbed $1.58, or 1.3 percent, to settle at $118.93 a barrel on the London-based ICE Futures Europe exchange. Prices are $11 more than they would be without the tension, according to the average estimate by 10 analysts and traders surveyed Feb. 8-14 by Bloomberg. Estimates ranged from $5 to $15. The standoff with Iran centers on the nation's nuclear program. In a November report, the International Atomic Energy Agency cited "credible" sources as saying the country has studied how to make a nuclear bomb. While Iran says the program is for peaceful purposes only, the IAEA says the country's facilities are dispersed over a wide area and some are underground. IAEA inspectors visited Iran for talks last month and are scheduled to return on Feb. 20-21. "Iran may lash out from time to time if it feels pressured, but there won't be an oil spike this year," said Cliff Kupchan, an analyst at Eurasia Group in New York. "Iran isn't moving all its nuclear activity underground and its progress on the larger centrifuges isn't very good. Those are the two 'red-light' issues that can lead to an Israeli strike." Iran is approaching the "hypothetical" nuclear capability to produce atomic weapons, making it necessary to reach an agreement through negotiations, Russia's Deputy Foreign Minister Sergei Ryabkov said. Russia sees no "firm" evidence that the Gulf state is seeking to acquire nuclear-weapons capability, he said in comments published on the ministry's website today. The EU said in a statement today that it received a letter from Iran in response to a note in October from EU foreign policy chief Catherine Ashton regarding talks on the Gulf state's nuclear program and is consulting with its so-called E3+3 partners. The E3+3 partners are the U.S., Germany, France, Russia, the U.K. and China. A closure of the Strait of Hormuz would be the biggest disruption to Gulf crude exports since Iraqi President Saddam Hussein ordered the invasion of Kuwait in August 1990, an event that all but shut off about 5 million barrels a day of supplies. West Texas Intermediate oil jumped 88 percent in the next two months. It tumbled 33 percent on the day the U.S.-led coalition began airstrikes against Iraq the following January. "We view a blockade of the strait as a low probability given the serious economic damage it would have on Iran itself," Soozhana Choi, the Singapore-based head of Asian commodities research at Deutsche Bank AG, said in a report today. "The mere utterance of such a threat is a grave concern for the oil market given the strategic importance of the strait on a global scale," she said. Tension in the Gulf has increased as both the U.S. and Iran head toward elections. U.S. Defense Secretary Leon Panetta said this month Israel may attack Iran's nuclear facilities by mid- year, while Israeli Defense Minister Ehud Barak said Feb. 2 his country must consider conducting "an operation" before Iran reaches an "immunity zone" on its nuclear program. 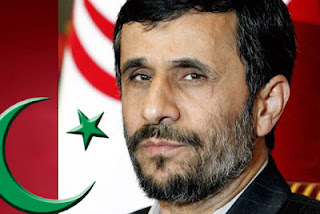 Iran loaded locally built fuel plates into its nuclear research reactor in Tehran, Press TV reported today, showing images of President Mahmoud Ahmadinejad inside the facility. Only a handful of countries, including France and the U.S., have the technology to build the 20 percent enriched fuel plates needed for the reactor, according to Iranian officials. 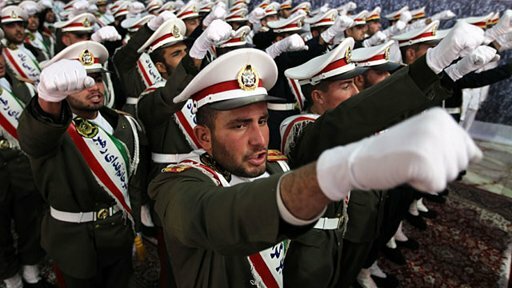 "Threats by Israel and Iran are particularly vociferous at the moment in the lead-up to elections," said David Hartwell, Middle East political analyst for London-based IHS Jane's, a unit of IHS Inc. "Israel's priority is to keep the Iran threat at the top of the agenda during an election year in the U.S. Iran's parliamentary elections in March explain the ratcheting up of boisterous nationalism such as closing the Strait. But that would be a last resort. It would have to feel it was under severe pressure." The odds that either Israel or the U.S. will carry out an overt airstrike against Iran by Sept. 30 rose to almost 40 percent yesterday, according to Intrade.com, an online prediction market. They were 25 percent a week ago. The wagers are based on 413 bets, compared with more than 500,000 on the U.S. presidential election. As the standoff deepens, China, the world's biggest energy user, is replacing Iranian crude imports with supplies from West Africa, according to Nordea Bank AB. The nation's first-quarter purchases from the Islamic republic may slow to half last year's average rate of 550,000 barrels a day, according to the International Energy Agency in Paris. Japan, the second-biggest buyer of Iranian oil last year, is nearing a resolution with the U.S. administration over a law requiring countries to cut those imports or face restrictions in doing business in the U.S., Foreign Minister Koichiro Gemba said at a press conference today in Tokyo. "The premium is a healthy $5 or more, and about $15 a barrel if you add China to the mix," said Jeremy Friesen, a commodity strategist at Societe Generale in Hong Kong. "OPEC spare capacity has probably shifted to Iran as the Chinese get oil from elsewhere, which is bullish for the market because spare capacity in Iran is actually supply off the market. Without that, you would see a much lower oil price to reflect the weak economy." Prospects for war in the Gulf have dropped, according to Henry Smith, a London-based Middle East and North Africa analyst at Control Risks, which this week cut its forecast of an attack on Iran to a 25 percent chance, from 30 percent. "Oil would spike dramatically if you cut off Hormuz, so you're looking at $100-plus on top of the price," said Francisco Blanch, New York-based head of commodities research for Bank of America. "But it has never happened." --With assistance from Sherry Su in London, Ladane Nasseri in Dubai, Henry Meyer in Moscow, Grant Smith in London and Sachiko Sakamaki in Tokyo, Ewa Krukowska in Brussels. Editors: Raj Rajendran, Stephen Voss. Gunvor Group Ltd., the global commodity trader part-owned by Russian billionaire Gennady Timchenko, has no plans to acquire OAO Kuzbassrazrezugol, Russia’s second-largest producer of coal for power stations. Gunvor hasn’t been in talks with Kuzbassrazrezugol (KZRU), Anton Kurevin, a Moscow-based spokesman for Gunvor, said in an e- mailed response to questions today. Gunvor is completing the previously announced acquisition of the Kolmar coal project in eastern Siberia and is not considering any further coal purchases, he said. Andrei Bokarev, chairman and co-owner of Kuzbassrazrezugol, couldn’t be reached for comment. China’s apparent oil demand may rise 5% to 493 million tonnes this year, the country’s biggest energy producer said. Apparent oil demand reached 470 million tons in 2011, China National Petroleum said in its annual report on the oil and gas industry. China’s apparent oil-product demand may rise 6.4% to 278 million tonnes in 2012, according to state-owned CNPC. Petrol consumption may increase 7.5%, while diesel and kerosene use may gain 6% and 5.1%, respectively, the parent of PetroChina said in the report. The country will finish building the second phase of its emergency oil storage this year, CNPC said. The second phase consists of eight storage sites, according to the Beijing-based company. 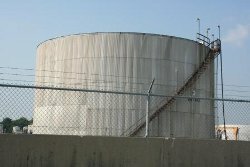 Oil inventories at Canada's largest storage site are on the rise as discounts for the crude plumb new depths, a company that tracks tank volumes across North America. Oil volumes at the Hardisty, Alberta, storage site have climbed 350,000 barrels on the week to 8.2 million, which puts capacity use at 48%, said Abudi Zein, senior vice-president at Genscape. That is about midway between the 2011 highs and lows, but the trend is up as production volumes rise in Western Canada and volumes also grow at the Cushing, Oklahoma, storage hub, depressing prices for land-locked crude supplies in many parts of the continent, Zein said. Last year's high was about 11 million barrels in August and the low was about 5.8 million in December. Over the past week, Western Canada Select heavy blend for March deliver has fallen past $35 a barrel under benchmark West Texas Intermediate and has lately hovered in the low $30s per barrel under WTI. Light synthetic has fallen into the low $20s per barrel under WTI, reaching record discounts. It sold for a premium as recently as December. ‘My impression is that one of the guiding factors is basically absence of disruption. There have been no accidents in an industry that has been accident-prone and that has built up supplies and they have to go somewhere,’ Zein said. On Tuesday, Canadian Natural Resources Ltd said production at its 110,000 bpd Horizon oil sands project was curtailed due to unplanned maintenance, but that led to just a brief contraction in synthetic price spreads. Traders and analysts have tied the weakness to surging oil sands production volumes and limited pipeline capacity out of Western Canada. That problem has been exacerbated by surging output from the Bakken shale region of North Dakota, where the crude competes with Canadian supply for pipeline space to U.S. Midwest and Midcontinent markets. According to the state, output hit 534,900 bpd in December, up nearly 200,000 bpd in a year. North Dakota's production has surged over the past two years, eclipsing that of OPEC member Ecuador, due to shale oil development. Traders said any player with empty tank space will buy up supplies at current prices, as further big drops are seen as unlikely. Zein said another factor in the price weakness has been the warm winter in Canada and the United States, which has slashed demand for heating oil. In the US storage, volumes at Cushing rose 367,000 barrels to 30.49 million last week, the US Energy Information Administration said on 8 February. 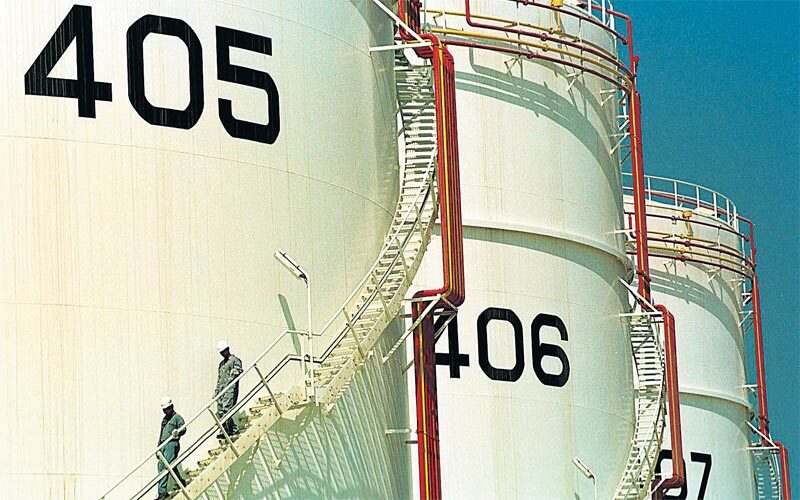 A new international standards group for coating and linings of petroleum equipment has been formed by the International Organisation for Standardisation (ISO). The Standards Working Group (ISO TC 67 WG11) on Coating and Lining of Equipment and Structures in Petroleum and Natural Gas Industry held its first meeting last week, and the body will help to develop new, and update existing, standards within the industry. The group is made up of 29 specialists from 12 different countries and Muayad Ajjawi, head of standards & regulations development at Qatar Petroleum, has been chosen as convener of the international group. The work that the group will carry out is important in order to create corrosion protection of equipment and structures both internally and externally and Yasser Abu Alomrin, senior coating inspector from Qatar Petroleum, has been chosen as the project leader. 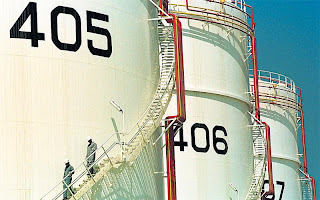 A new international standard will be written to help establish the international requirements for corrosion mitigation for internal surfaces of steel storage tanks for petrochemicals as one of the first developments. In the first meeting, comments were reviewed, discussed and resolved, concerning the draft project standard on the internal coating and lining of storage tanks. Buckeye Partners’ subsidiary, Buckeye Tank Terminals has signed a definitive agreement with Chevron to acquire a marine terminal facility for liquid petroleum products in New York Harbor for $260 million (€197 million) in cash. The facility, which sits on approximately 250 acres on the Arthur Kill in Perth Amboy, New Jersey, has over four million barrels of tankage, four docks, and significant undeveloped land available for potential expansion. The facility has water, pipeline, rail, and truck access, and is located only six miles from Buckeye's Linden, NJ complex. The acquisition, which is subject to certain closing conditions, is expected to close in the latter half of the second quarter of 2012. As a result of the acquisition, Buckeye's inland pipeline and terminal networks will have a direct connection to a Buckeye owned and operated marine facility with water access to petroleum products imported from international and Gulf Coast suppliers. Additionally, the Perth Amboy facility will provide a link between Buckeye's inland pipelines and terminals and Buckeye's BORCO facility in The Bahamas, improving service offerings for Buckeye's customers and providing further support to Buckeye's planned clean products tankage expansion at the BORCO facility. ‘Direct access to waterborne cargos will ensure security and diversity of product supply into the Buckeye system, and is part of a long-term strategy designed to provide sustainability and optionality for further growth in Buckeye's domestic and international businesses,’ says Clark Smith, Buckeye's CEO. Smith notes that Buckeye has near-term plans to transform the existing terminal operations at Perth Amboy into a highly-efficient, multi-product storage, blending, and throughput facility, through the investment of approximately $200-225 million of growth capital into the facility over the next three years. Buckeye intends to expand its capabilities to serve the Northeast markets through the construction of a new 16’ pipeline between the Perth Amboy facility and Buckeye's Linden, New Jersey complex and an expansion of Buckeye's existing pipelines running from Linden, New Jersey into the Pennsylvania and New York markets. Morgan Stanley acted as the exclusive financial advisor to Chevron in connection with this transaction. 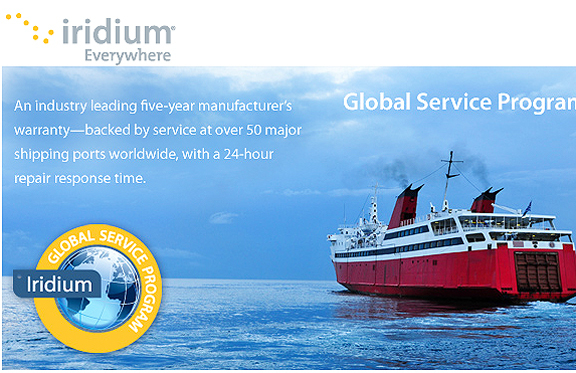 Iridium Communications has launched its second-generation maritime broadband platform - Iridium Pilot. The new platform will utilise the Iridium OpenPort service. It has been designed for enhanced durability to withstand the harshest maritime conditions, while packaged in a small, lightweight antenna, as it has a fixed, electronically-steerable, phased-array antenna, designed to maintain connectivity in rough seas. The platform offers broadband connectivity in addition to three independent phone lines, all of which work simultaneously, with data speeds up to 134 kbps. Iridium claimed that it offered a suite of new capabilities for vessel telecommunications optimisation. These included a built-in firewall for traffic management and a bulk configuration capability to assist in efficiently managing large volumes of units. Its small design, enhanced capabilities and flexible service packages make Iridium Pilot an optimal solution for vessels large and small, the company said. “We currently see a rapid migration from legacy narrowband services to new generation broadband solutions in the maritime satellite communications market,” said Richard Roithner, senior consultant at Euroconsult. “MSS broadband solutions, in particular those positioned in the lower price ranges, have seen significant growth over the last two years increasing at around 120% per year. “Euroconsult projects growth to continue in the coming years as these systems provide an attractive value proposition for low- and medium-end markets to provide safety communications, enhance ship operations, improve crew welfare, as well as provide complementary services for VSAT. Our research has found that data rates of around 128 kbps are sufficient for the majority of applications used on board vessels today,” he concluded. 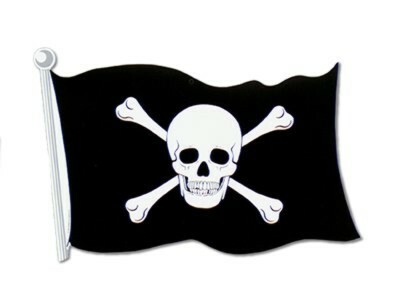 Oceans Beyond Piracy has raised concerns about the cost of Somali Piracy to the world economy. In a report, the organisation said about 80% of all costs are borne by the shipping industry, while governments account for 20% of the expenditures associated with countering piracy attacks. It estimated that the 2011 economic cost of piracy was between $6.6 bill and $6.9 bill. The breakdown of the most notable costs includes $2.7 bill in fuel costs associated with increased speeds of vessels transiting through high risk areas, $1.3 bill for military operations and $1.1 bill for security equipment and armed guards. In addition, $635 mill is attributed to insurance, $486 mill to $680 mill is spent on re-routing vessels along the western coast of India, and $195 mill is the estimated cost for increased labour expenses and danger pay for seafarers. The vast majority (99%) of the billions spent are attached to recurring costs associated with the protection of vessels – costs which must be repeated each year. This figure is in sharp contrast to the $38 mill spent for prosecution, imprisonment and building regional and Somali capacity to fight piracy. Average ransoms increased 25% from approximately $4 mill in 2010 to $5 mill in 2011. Although the total cost for ransoms was $160 mill for 2011, money collected by pirates represents a mere 2% of the total economic cost. While ransoms provide the incentive for Somali pirates to attack vessels and hold hostages, they represent a disproportionally small cost compared to the nearly $7 bill spent to thwart these attacks. This report will be used to raise important issues for the Oceans Beyond Piracy Working Group, which is expected to release recommendations for a better co-ordinated and longer-looking strategy against piracy in July 2012. Meanwhile, according top OCEANUSLive.org, robbers boarded an anchored Panama-flagged chemical tanker 'Golden Fountain', at Sandakan inner anchorage, Sabah, Malaysia. In another incident, robbers boarded an anchored chemical tanker at night in the Batam outer anchorage, Indonesia. They stole ship stores and escaped unnoticed. Reported via IMB 1st February. The recently announced European ban on imports of Iranian crude oil due to come into force on 1st July could mean a significant shift in crude oil movements. According to Gibson Research, exports of Iranian crude into Europe increased during 2nd & 3rd quarters of 2011, partly as a result of the loss of 1.3 mill barrels per day of Libyan crude during the civil war. Iran currently exports around 0.7 mill barrels per day into the European refinery system, almost half of the Libyan pre-crisis total. Spain and Italy have been the biggest European importers from Iran recently. It is also notable that France has gone from zero imports in 4Q10 to average 76,000 barrels per day during the 2nd & 3rd quarters of 2011, Gibson said. With Libyan crude exports now nearing pre-crisis levels, by the time the ban is implemented, Europe will be well placed to switch supplies away from Iran. Europe’s economic growth (or lack of it) is also a major factor, as demand is unlikely to rise significantly during 2012. Should Europe require to source alternative crude supply, Saudi Arabia is the obvious candidate to make up any shortfall. The Saudis could supply any lost barrels through the Sumed pipeline taking up the capacity vacated by the loss of Iranian crude. As for the Far East, Iranian exports to this region currently represent about 60% of its crude exports. Tougher sanctions on Europe will simply mean more crude will go east, Gibson said. India and China will cite economic reasons for their reliance on a continuous supply, due to their growing economies. As a further inducement, Iran may offer crude at discounted prices in order to ensure that exports continue to their largest customers in Asia. After 1st July, the political focus will turn east, as the US and Europe attempt to ramp up more pressure on India, Japan and South Korea to join the ban. In the US, tougher financial sanctions are already on the agenda. Turkey will also come under more pressure, as it is the fifth largest importer of Iranian crude at 227,000 barrels per day. Although this country is not bound by sanctions, it is questionable whether imports will remain at current levels given the country’s aspirations to join the EU. As long as Iran has a market for its oil in the east and is able to increase export volumes, then the impact of these sanctions will remain minimal. “However, we can be sure that the politicians both in Europe and the US will be exerting more pressure on these nations to at least reduce their oil purchases,” Gibson concluded. Meanwhile, Maersk Tankers has announced that the company is banning the carriage of Iranian crude in its vessels, due to EU sanctions on imports. "As of 24th Jan 2012, all new fixtures involving Iran and all carriages of products with Iranian origin have been suspended," said Henrik Ramskov, Maersk Tankers COO, talking with Reuters. On 23rd January, the EU banned all imports of oil from Iran, while European oil companies will be forced to sever all dealings in Iran crude by July. Mustapha Faisal surveys a pile of rusty scrap metal that he sells on the roadside in Accra, Ghana’s capital, and sighs as he talks about wishing to go home to his village in the northern region. Faisal, 34, who came south a decade ago to find work, says he can’t afford to return because the jobs are in the south, where economic development has long outpaced the arid north. That divide in West Africa’s second-largest economy after Nigeria has deepened as cocoa and gold production rose in the south and oil output began off the Atlantic Ocean coast. 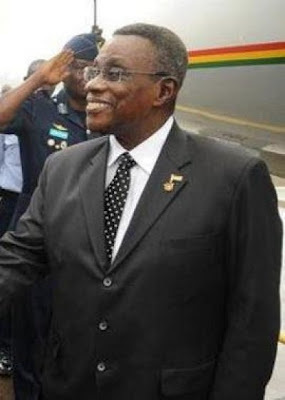 It may erode support for President John Atta Mills and his ruling National Democratic Congress in a re-election bid this year after he won in 2008 by less than 1 percentage point. Ghanaians such as Faisal, who said he earns 250 cedis ($148) each month, have carved out a path from the north to the south, seeking opportunities in a resource-rich area where poverty may be largely eliminated by 2030, according to the World Bank. In the drought- and flood-prone north, home to about 17 percent of Ghana’s 24.2 million people, little is produced other than locally consumed staple crops. Three-fifths of the population lives on less than $1.08 a day in 2009 prices, according to the bank. The divide has been deepened by Ghana’s oil boom, sparked by the 2007 discovery of the offshore Jubilee field by London- based Tullow Oil Plc. As oil companies such as Eni SpA and OAO Lukoil joined gold producers Newmont Mining Corp. and AngloGold Ashanti Ltd. in the southern half, northerners headed there too, looking for work in Accra and the oil hub city of Takoradi. Oil has also helped weaken the cedi as companies seeking to invest in the oil-driven economy exchanged the currency for dollars to buy equipment from overseas. The currency has slumped 2.7 percent this year and hit a 17-year low last month. It was little changed at 1.6849 per dollar yesterday as of the 4:00 p.m. close in Accra. Mills, who started production at Jubilee in a Dec. 15, 2010, ceremony with a promise to use oil for a “major industrial takeoff,” is banking on crude to boost the country’s $31 billion economy and create jobs. Since that day, though, oil has missed production targets. A peak output of 120,000 barrels a day from Jubilee was delayed until 2013, at least a year later than planned, because of technical issues, Tullow said Jan. 18. With less money from oil, Mills may not be able to bring development in time to win northern votes in the December contest. He faces Nana Akufo-Addo of the opposition New Patriotic Party, whom he defeated in 2008. “It would be fatal for one to lose there, or not to have substantial votes from there,” said Emmanuel Gyimah-Boadi, head of the Accra-based Center for Democratic Development, a non- profit research group that gets funding from the United Nations and the aid departments of foreign governments. Should Mills lose, investment in agriculture, which along with fishing employs 48 percent of the country’s work force, may dwindle. During his tenure, cocoa production jumped to a record of more than 1 million metric tons, a buffer-stock program was created to buy up excess crops and spending on fertilizer rose 61 percent to 55 million cedis last year. The economy expanded 12 percent in the third quarter of 2011 from a year earlier. Even with the agriculture spending, it’s oil that has driven the economic hopes of northerners. “The discovery of oil came with very high expectations of better roads, education and health care, but we haven’t seen anything,” said Cliff Maasole, a political science lecturer at the Wa, Upper East region-based University of Development Studies, by phone. “Mills is a fine gentleman but he hasn’t done much to win the hearts of northerners,” he said in December. Ghana’s divide is rooted in the West African slave trade, when the north was a major source for human trafficking, said Yao Graham, coordinator of the Accra-based Third World Network, a non-governmental organization that advocates for rights in developing countries. As a colony under the U.K., the south, then known as the Gold Coast, was closely ruled while the north was left as a military-led protectorate and a source of conscripted labor for cocoa plantations and gold mines, Graham said in an interview. In the south, “roads and railways were built to facilitate the transportation of minerals like gold and bauxite as well as timber and cocoa for export to Europe,” he said. Ghana’s first president, Kwame Nkrumah, included the north in his development plans and oversaw the construction of state- owned factories to process beef and tomatoes there during the 1960s. Decades of economic downturn following military coups, including the one that ousted Nkrumah in 1966, left northern development faltering, Graham said. Mills is counting on a government effort to help bridge the divide. Ghana’s Savannah Accelerated Development Authority is meant to attract investment in infrastructure including roads, irrigation dams, health clinics and electricity and water production, said Alhaji Gilbert Iddi, chief executive officer of the authority, in an interview. Another sign of hope for the north is its reserves of gold, manganese, iron-ore and limestone, according to Ghana’s Geological Survey Department. Ghana National Petroleum Corp., the country’s state-owned oil company, said in April it would spend $40 million to gather seismic data to look for crude in the onshore Volta River basin, which covers about 40 percent of Ghana’s land area. Cardero Resource Corp. of Vancouver and its Ghanaian partner, Emmaland Ltd., were given permits to explore for iron ore at Sheini in the northern region, the company said Jan. 31. Mills’s party has historically been strong in the north, said Kojo Asante, a senior research officer at the democratic development center, in a telephone interview yesterday. Still, Mills had to win it back in 2008 after the region voted for the other party in 2004. “The fact that the NDC gives more representation to northerners as compared to the NPP may be the reason for the North’s alignment,” he said, adding that the south swings because urbanization brings in different voters each election. For many of the north’s economic migrants who have headed south, their perception of Mills’s presidency lies in their success in finding work. To contact the reporters on this story: Moses Mozart Dzawu in Accra at mdzawu@bloomberg.net; Ekow Dontoh in Accra at edontoh@bloomberg.net. To contact the editor responsible for this story: Emily Bowers at ebowers1@bloomberg.net. 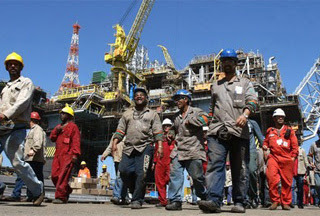 Oil workers in Nigeria, under the aegis of Petroleum and Natural Gas Senior Staff Association of Nigeria (PENGASSAN), have threatened a total shut down of oil and gas operations in the country if its 27 members sacked by Vam Oil Company, Onne, in southern Rivers State, are not reinstated. Acting zonal chairman of the association, Friday Otono, who disclosed this to reporters here on Thursday, said the company had already been shut down by its members since Feb. 7 to protest the sack of the 27 workers that were laid off in Nov. 2011. According to Otono, the protest was embarked upon by the company's staff in solidarity with John Ukegbu, a worker who was sacked on Oct. 19, 2011. Otono claimed that Ukegbu was sacked without any cogent reason, pointing out that after the protest, 27 of the workers, who were PENGASSAN members, were also sacked. The unionist said PENGASSAN had made several efforts to resolve the matter amicably but to no avail, and described the company's action as victimization. TransCanada is already shipping close to 100,000 barrels of crude oil per day to the Cushing storage and trading hub regardless of President Barack Obama's denial of the Keystone XL Pipeline permit two weeks ago, according to reports. Energy information service Genscape estimated that 18% of the oil moving through the Keystone last month went to Cushing, the largest US terminal and trading hub about 60 miles west of Tulsa, according to Bloomberg. The Keystone XL's 300-mile leg from Steele City, Nebraska to Cushing has been in operation since last March. ‘I'm not sure if that by itself is significant, but what interests me is the point that plenty of Canadian oil already is flowing to Cushing via a Keystone line, while environmentalists are attacking the perceived danger of the XL,’ says Norm Szydlowski, CEO of SemGroup and Rose Rock Midstream - two companies that have significant terminal and pipeline assets in and around the hub. President Barack Obama blocked the TransCanada permit to build the Keystone XL leg from the Canadian border to Steele City, citing potential environmental dangers if the route went through the Sand Hills region of western Nebraska, which is just above the massive Ogallala Aquifer. The Calgary, Alberta-based pipeline firm had vowed to construct a takeaway leg from Cushing to the Gulf Coast once the cross-border permit was approved. LONDON, (Reuters) - Gold prices bounced back into positive territory on Tuesday, paring earlier losses in line with a rallying euro after a Greek official said the government is drafting an agreement on a second bailout. Spot gold was up 0.3 percent at $1,723.89 an ounce at 1502 GMT, having earlier fallen as low as $1,709.29 an ounce, while U.S. gold futures for February delivery were up $1.70 at $1,726.60. A Greek government official said Greece's government is preparing the text of an agreement on a 130 billion euro bailout that will be put to political leaders for approval, suggesting Athens had largely wrapped up talks with lenders on the rescue. A conclusion to the discussions would likely to support gold, although it has struggled to maintain upward momentum as the markets await more information. "If we do get a resolution of the current standoff, then gold will likely benefit," said Anne-Laure Tremblay, an analyst at BNP Paribas. "The main downside risk lies with failure to reach an agreement between the Greek government and its creditors, which would open the door to a default. Such an event - or market perception that this event will occur - would likely trigger liquidation across asset classes, including gold." The euro turned positive against the dollar, paring early losses to hit session highs, and Bund futures reversed gains after a Greek official said the government was drafting the bailout deal. Prime Minister Lucas Papademos negotiated through most of the night with Greece's European Union and IMF lenders, ending at 4 a.m. (0200 GMT) when a 24-hour national strike was about to begin, closing ports and disrupting public transport. "The EU (had) suggested a deal should be reached by 15 February to ensure that the necessary arrangements are made before Greece makes a critical bond payment on March 20," said Standard Bank in a note. Gold prices are up more than 10 percent so far this year after December's sharp drop, supported by a Federal Reserve pledge to maintain ultra-loose monetary policy. Hong Kong's shipments of gold to mainland China in 2011 more than tripled from a year earlier, confirming China's rapidly growing appetite for bullion, data released by the Hong Kong Census and Statistics bureau showed on Tuesday. 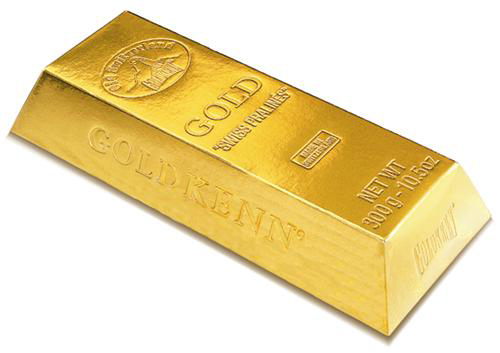 This came even though the gold flow from Hong Kong to China dropped about 62 percent in December on the month to 38,605 kilograms, its lowest level since July. "The 38.6 tonnes shipped ... might be interpreted by some as gold-negative," said UBS in a note. "We, however, think the real outliers were shipments in October and November, which... were greatly in excess of previous months' volumes." "And while December's activity is the lowest since July, it's still 245.2 percent higher year-on-year. Here's a statistic that should lay to rest any doubts over Chinese gold consumption: the 2011 trend of imports from Hong Kong was up 258 percent from 2010." Among other metals, silver was down 0.6 percent at $33.42 an ounce, while spot platinum eased 0.3 percent to $1,618.49 an ounce, and spot palladium was down 1 percent at $695.63 an ounce. Platinum narrowed its historically unusual discount to gold to less than $100 an ounce on Tuesday, from a record high of around $230 an ounce hit in January. In a report, BNP Paribas lifted its 2012 and 2013 price forecasts for platinum-group metals, citing threats to output of the metal from South Africa and Russia, the chief producers of platinum and palladium respectively. "We now expect platinum mined output to be flat in 2012, and to rise by 2.5 percent in 2013," it said. "Palladium output may contract by 1 percent in 2012 and increase by 2 percent the following year." Platinum miners say work stoppages linked to safety and industrial action and operational issues such as power outages are curbing their ability to produce the metal. Crude Falls 1% as Oil Contracts Diverge. NEW YORK—The world's two most important crude contracts headed in different directions, with the price premium for European crude over U.S. crude growing to the largest level in three months due to rising domestic supplies and concerns of shortages overseas. The premium for Europe's Brent crude over U.S.-traded West Texas Intermediate oil futures rose to $19.02, the widest gap since November. As recently as Jan. 3, the gap was under $10. On Monday, light, sweet crude for March delivery settled 93 cents, or 1%, lower at $96.91 a barrel on the Nymex. Brent crude on the ICE futures exchange settled $1.35 higher at $115.93 a barrel. A glut of oil is re-emerging in the U.S. at the same time supply issues are cropping up in Europe, said Andy Lipow, president of Lipow Oil Associates, an energy consulting firm. Because of pipeline bottlenecks in the U.S. Midwest, U.S. and Canadian oil aren't able to reach areas that are paying more for overseas crude. "I call it a tale of two cities," said Mr. Lipow. A confluence of factors has led to the widening spread. In part, it is due to rising supplies in the U.S. Stockpiles of crude oil last week rose to the highest level since mid-December. But the supply concerns overseas have been more important. An impending embargo of Iranian oil from the European Union has led to worries that Europe's oil prices will increase as supplies become tighter. South Sudan also has decided to shut down its oil production amid a furious dispute with Sudan over oil-transit fees—further tightening the European market. And at the same time, demand in Asia for Europe's oil is also rising. According to shipping fixtures examined by The Wall Street Journal, at least 12 million barrels of North Sea Forties crude were booked to travel to Asia between December and February, a trading move virtually unheard of before late last year. Forties crude is the largest component of Dated Brent, the physical oil benchmark that typically trades in line with Brent futures. "In this way, Dated Brent is acting as a true global benchmark," JBC Energy said in a note published last week. The situation has motivated traders to return to one of last year's most profitable trades: betting against New York Mercantile Exchange-traded WTI, while betting on a rise in the price of Brent crude traded on the IntercontinentalExchange, or ICE. "People are foreseeing a move back into the $20s, so there's been some buying of Brent, selling of WTI," said Tony Rosado, a broker at GA Global Markets. The divide between Brent and Nymex-traded WTI narrowed sharply at the end of 2011 after a decision to reverse the Seaway pipeline from Cushing, Okla., to the U.S. Gulf Coast promised to relieve a supply glut in the middle of the country. The pipeline is due to begin shipping crude June 1, but more oil is flowing toward Cushing in anticipation of the reversal. Front-month March reformulated gasoline blendstock, or RBOB, settled 1.35 cents, or 0.5%, higher at $2.9279 a gallon, the highest price since August. March heating oil settled 5.63 cents higher at $3.1707 a gallon. 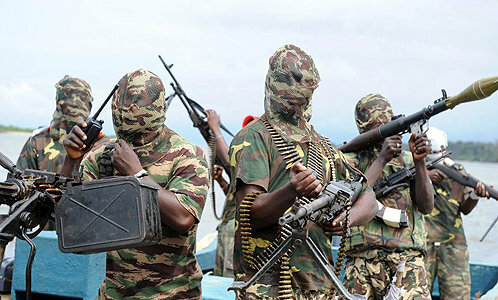 Nigerian Oil Militants, MEND, Strikes Again! Agip Pipeline Bombed! Nigeria’s main oil militants operating in Niger Delta region, Movement for the Emancipation of the Niger Delta (MEND) today said its fighters have sabotaged an oil pipeline that belongs to Italian oil company, Agip. The group, which has been silent for about a year now also claimed responsibilty for the attack at Ogbobagbene in Burutu local government area of Delta State, on the compound of Godsday Orubebe, Minister for Niger Delta two weeks ago. “On Saturday the 4th of February at 1930hrs, fighters of the Movement for the Emancipation of the Niger Delta (M.E.N.D) attacked and destroyed the Agip trunk line at brass in Bayelsa State in the Niger Delta region of Nigeria. “This relatively insignificant attack is a reminder of our presence in the creeks of the Niger Delta and a sign of things to come. “We have constantly warned Nigerians about Goodluck Jonathan and his train of idiots running Nigeria. Events of the last few months have vindicated our position on the inability of this moron to lead Nigeria anywhere but downwards. “Rather than address serious issues facing the nation and its citizens, Goodluck Jonathan squanders public funds on tribalistic sycophants and thugs calling themselves ex-militants. “Nigerians should disregard the idle threats and ranting of imaginary militant groups and other hired “Jonathan praise singers”. Besides empty talk, they are unable to help Jonathan in any way. In fact most so called ex-militants are hiding in Abuja or Lagos, not venturing near their villages in the Niger Delta. “Our silence thus far, has been strategic and at the right time, we will reduce Nigerian oil production to zero and drive off our land, thieving oil companies. British petroleum is prepared to pay $25 billion compensation for the Gulf of Mexico oil spillage, yet for worse spillages in the Niger Delta; our people are paid with death at the hands of the Nigerian military. “In the dark days to come, MTN, SACOIL, and other South African investments will pay a heavy price for the interference of Jacob Zuma in the legitimate fight for justice in the Niger Delta, by its people. The South African President has reduced himself to the position of a hired thug for Goodluck Jonathan. “The Movement for the Emancipation of the Niger Delta (M.E.N.D) understands the negative impact our assault on the Nigerian oil industry will have on the ordinary citizen in a country which relies almost entirely on one source of revenue. “Unfortunately, the extremely irresponsible, floundering government of Nigeria is more concerned with enriching themselves and family members than attending to the problems of the Niger Delta and the continuously depreciating standard of living of the ordinary Nigerian. “A government incapable of managing roads, refineries, power stations and other basic infrastructure is again squandering valuable public funds on a committee tasked with investigating the viability of nuclear energy for electricity generation. “The government of Nigeria is incapable of safely disposing household refuse. How then do they plan to deal with the toxic by-product of nuclear energy? Nigerians must know that their ignoramus of a president is controlled by Obasanjo, Western nations, an imbecilic wife and an army of sorcerers. “In this new phase of our struggle for justice, the Movement for the Emancipation of the Niger Delta (M.E.N.D) will pay considerable attention to dealing with security forces and traitorous indigenes of the Niger Delta. “In this regard, MEND wishes to confirm that our fighters were responsible on the attack at Ogbobagbene in Burutu local government area of Delta State, on the compound of Godsday Orubebe, Minister for Niger Delta. “The general public is again advised to take very seriously, any warnings of impending bombings. Such warnings will always precede a bombing, providing sufficient time for evacuation. “Specific members of the security services and the media will in addition to email, receive notification of an impending attack, by SMS in order to minimize the possibility of civilian casualties.” The statement was signed by Jomo Gbomo. Israeli facilities in North America -- and around the world -- are on high alert, according to an internal security document obtained by ABC News that predicted the threat from Iran against Jewish targets will increase. "We predict that the threat on our sites around the world will increase … on both our guarded sites and 'soft' sites," stated a letter circulated by the head of security for the Consul General for the Mid-Atlantic States, Eliran Avitan. Guarded sites refers to government facilities like embassies and consulates, while 'soft sites' means Jewish synagogues, and schools, as well as community centers like the one hit by a terrorist bombing in Buenos Aires in 1994 that killed 85 people. Federal officials in those cities told ABC News that they have also increased their efforts to watch for any threat stream pointing to an imminent attack on either Israeli facilities, Jewish cultural or religious institutions or other "soft targets." "When there is posturing like this, we always pay extra attention to any threat streams," one federal official said. "The thwarted assassination plot of a Saudi official in Washington, D.C., a couple of months ago was an important data point," added the official, "in that it showed at least parts of the Iranian establishment were aware of the intended event and were not concerned about inevitable collateral damage to U.S. citizens had they carried out an assassination plot on American soil." "That was an eye opener, showing that they did not care about any collateral damage," the federal official said. After the disruption of the alleged plot, regional intelligence centers issued bulletins similar to the recent Israeli warning. "In the past few weeks, there has been an escalation in threats against Israeli and Jewish targets around the world," one regional document noted. "Open source has reported many demonstrations against Israel are expected to be concentrated on Israeli embassies and consulates. Such demonstrations have occurred internationally as well as domestically. These demonstrations could potentially turn violent at local synagogues, restaurants, the Israeli Embassy and other Israeli sites. … Law enforcement should be vigilant when making periodic checks at all Jewish facilities. And the Israeli bulletin warned that Israel's own passports might be used by terrorists intent on carrying out a plot. "According to our evaluation there is a possibility that the forged passports will be used in order to pass as Israeli citizens at the security checks in Israel and around the world. Israeli security authorities may consider an Israeli citizenship as a [criterion] to proceed with a more lenient security check in secure sites such as airports, etc.," the letter stated. Israeli Military Strike Against Iran? The Israeli security bulletin came in the midst of heated rhetoric on the part of the U.S., Iranian and Israeli political religious and military leadership and follows the recent assassination of a key scientist in Iran's nuclear enrichment program. If the rhetoric is to be believed, there is a deep concern that Israel might launch a military strike against Iran during the spring of 2012. The intelligence community assessment of that possibility, based on interviews conducted by ABC News, is considerably more nuanced, taking into account as it does the political will of the United States during an election year, the fragile nature of Great Britain's coalition government , the willingness of other allies to join in an offensive, the roles of Russia and China and Saudi Arabia in such a confrontation, and whether Israel would really be willing to launch a unilateral strike. "But in this situation, the political rhetoric is actually quite important," one official told ABC News. "And that is why the official position -- of the U.S, England, France, Canada, Israel and allies -- is that nothing is off the table." An apparent shift in the Israeli/U.S. relationship has complicated matters, however, said the official. In the past, Israel would probably have given the U.S. a heads up were it to launch a strike. Now that might not be the case. Among the English-speaking allies of the U.S., say multiple intelligence officials, there is currently a very limited expectation of any early warning. While much of the public attention has focused on Israel and the rifts within its leadership on how to respond to Iran's nuclear weapons program, the reality for Iran's leadership is also problematic. After threatening to strangle the world oil supply through the straits of Hormuz, Iran "has boxed itself into a corner," said one Western intelligence official. "It would be quite humiliating for them to back down." The Israeli security letter sums up the resultant risks very clearly. "In conclusion, we operate according to the information that Iran and Hezbollah are working hard and with great intensity to release a 'quality' attack against Israeli/Jewish sites around the world." Major advances in the scientific understanding of the way in which watchkeeping patterns can affect the sleepiness levels of ships’ officers have been claimed in a new report, following a major research project. ‘Project Horizon’ was an 11-partner European, 32-month research study, part funded by the EU, that brought academic institutions and shipping industry organisations together, with specialist input from some world-leading transport and stress research experts. The project made use of bridge, engine room and cargo simulators to assess scientifically the impact of fatigue in realistic seagoing scenarios. The main scenario involved a simulated two round trips between Fawley and Rotterdam on a 40,000 dwt products tanker loaded with two grades of cargo one way and returning in ballast. The two ‘voyages’ lasted for seven days. A total of 90 certificated deck and engineer officer volunteers with tanker experience participated in rigorous tests at the Gothenburg Chalmers University of Technology and at Warsash Maritime Academy, part of Southampton Solent University, to measure their levels of sleepiness and performance during the most common watchkeeping patterns – four hours on/eight hours off (4/8) and six hours on/six hours off (6/6). Some of those taking part in Gothenburg were also exposed to a ‘disturbed’ off-watch period, reflecting the way in which seafarers may experience additional workloads, as a result of port visits, bad weather, or emergencies. The project provided detailed empirical data on watchkeepers’ sleepiness levels working within realistic scenarios, enabling researchers to analyse the impact of sleepiness on decision-making, reaction times and other key performance elements. Researchers have used the data collected to develop a new fatigue management toolkit (Fatigue Risk Management Systems) for use by shipowners and managers, seafarers, regulators and others, to help arrange working schedules to mitigate risks to ships and their cargoes, seafarers, passengers and the marine environment. Project co-ordinator Graham Clarke said: “Seafarer fatigue is one of the biggest safety issues in the shipping industry and this research has taken our understanding of the way in which the quality of sleep off-watch affects the sleepiness of watchkeepers on watch to a new and much deeper level. “It is hoped that the fatigue management toolkit will be a lasting legacy for the sector, providing a resource that, by establishing improved working patterns, will help to enhance the safety of ships and passengers and the welfare of seafarers,” he concluded. An in-depth look at the key findings will be published in the March issue of Tanker Operator Magazine.